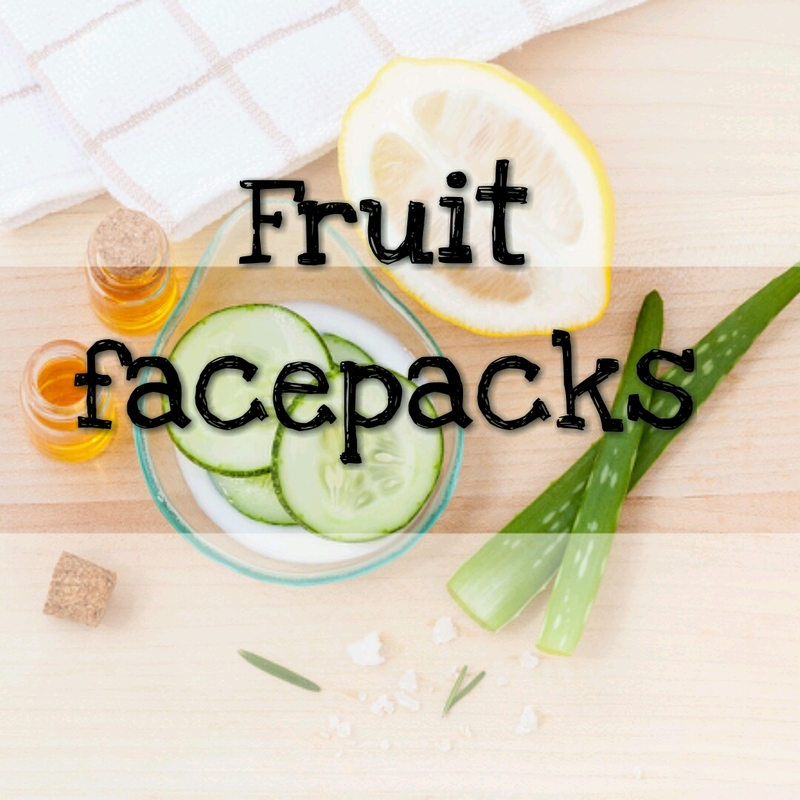 Today we will be talking about some fruits facepacks to try out this summer. 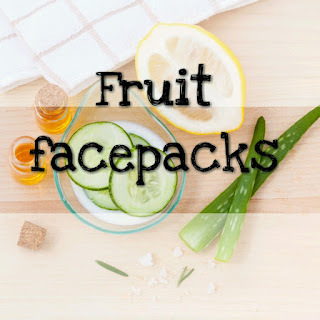 I have oily skin so I will share some fruit facepacks for oily skin. I have collaborated with Shwetali from Not So Hard To be Pretty and Dipti from Gorgeously Flawed for this post. So checkout their posts as well for other skintypes. Apple juice can act as a cleanser when blended with lemon juice and honey. Apple juice when applied just like that also is beneficial. Watermelon juice when applied on hands mositurizes making them soft. Whenever you eat a watermelon the reaming inner part which we discard just rub that onto your hands and you are good to go. Cucumber juice when added to gram flour and pinch of turmeric tones up the skin. Simmer some ripe papaya cubes in water till they soften and blend them to make a smooth paste. Apply all over face and wash off with lukewarm water. This makes the skin soothe as well smooth.